Måns Zelmerlöw, Darin, Eric Saade -- the Swedish pop scene is overloaded with over-preened pinups hoping to repeat the European success of female counterparts like September and Agnes. Danny Saucedo is perhaps the hardest-working of the lot, having released five albums (three as part of boy band trio E.M.D.) since finishing sixth on the Swedish version of Pop Idol back in 2006. But by adhering to the same formula of uplifting schlager-pop anthems, pulsing floor-fillers, and R&B ballads as his Melodifestivalen rivals, it's unlikely that his sixth, and third solo, release, In the Club, will provide the 24-year-old with that elusive international breakthrough. The filtered Swedish House Mafia-esque synths and Balearic beats of the title track, the faithful cover version of the Attic's "In Your Eyes," and the heavily Auto-Tuned rock-tinged "Never Gonna Take Us Down" are all solid examples of Hi-NRG Europop, but produced to within an inch of their lives, they offer little of the personality that made Saucedo such a talent show favorite. He fares much better on the clattering ballad "In Love with a Lover," whose melancholic piano hooks owe more than a nod to Rihanna's "Unfaithful," and the yearning slow jam "Cassandra," both of which showcase a Justin Timberlake-style falsetto that proves he's certainly one of his homeland's most gifted pop vocalists. 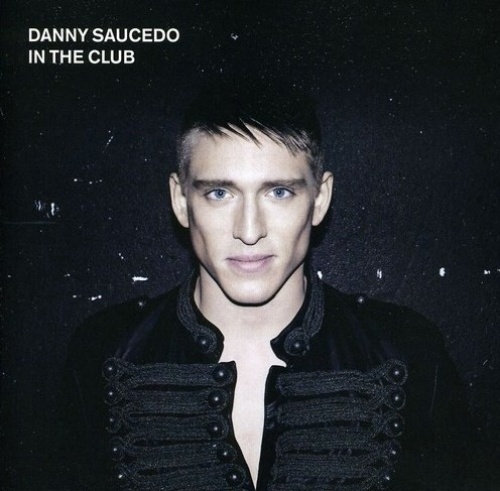 But the "heard it all before" vibes of its rather stingy eight tracks, one of which (Lazee collaboration "Just Like That") appeared on 2008 sophomore Set Your Body Free, suggests that Saucedo should perhaps take a well-earned rest and recharge his batteries if he wants to surpass his contemporaries.